On 21 July President Andrzej Duda signed a law previously approved by the Parliament, according to which cannabis-based medicines can be purchased at pharmacies on prescription. "According to the new rules, patients should have simplified access to marijuana to treat symptoms of certain diseases, such as chronic pain, nausea and vomiting from chemotherapy, multiple sclerosis and epilepsy," the law said. Initially, the bill said that patients with an approval should be allowed to grow their own cannabis for personal use. According to the adopted version of the law cannabis flowers will be imported from abroad, which will be used as raw material for pharmaceutical preparations. Physicians will then be able to prescribe these medicines. The law on simplifying access to cannabis was supported by 440 of 460 deputies of Seim, the Polish Parliament, in late June 2017. The law will take effect in three months. Cannabis may be beneficial in Parkinson’s disease according to a survey conducted by scientists of Colorado State University. An anonymous survey was hosted on the Michael J. Fox Foundation and the National Multiple Sclerosis Society webpages from 15 February to 15 October 2016. The survey was completed by 595 participants, of whom 76% suffered from Parkinson’s disease (PD) and 24% from multiple sclerosis (MS). 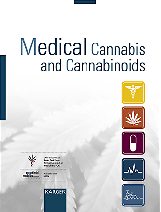 ”The Use of Cannabis by Patients with Sickle Cell Disease Increased the Frequency of Hospitalization due to Vaso-Occlusive Crises” by Samir K. Ballas. Department of Psychology, Arizona State University, Tempe, USA. Meier MH, et al. Addiction. 2017 Jul 22. 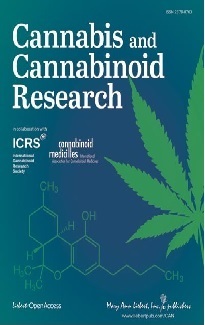 In a study with 20 heavy cannabis users (range 18-24 years) and 23 non-cannabis using healthy controls, who were examined at the beginning of the study and three years later, there was no influence of cannabis on the volume of the hippocampus. It is a certain brain region, which is important for memory. Cannabis users started smoking around 16 years and smoked on average five days per week. Department of Psychiatry, University of Amsterdam, the Netherlands. Department of Psychology & Neuroscience, University of North Carolina, Chapel Hill, USA. In both rats and humans the levels of the endocannabinoids anandamide and 2-AG (2-arachidonoylglycerol) and the expression of the GPR55 receptor varied according to age in brain regions, which are relevant for pain perception. School of Life Sciences, Nottingham, UK. In 166 patients, who were co-infected with hepatitis C and HIV, a certain variant of the cannabinoid-2 receptor (CB2 receptor) was associated with a higher risk of severe inflammation of the liver. Department of Mental Health and Public Medicine, University of Campania Luigi Vanvitelli, Naples, Italy. In a mouse model of multiple sclerosis (experimental autoimmune encephalomyelitis) interferon-gamma, a modulator of inflammation, also influenced mood of the animals. And this effect was exerted by modulation of the function of the CB1 receptor. Increase in the concentration of the endocannabinoid 2-AG (2-arachinonoylglycerol) in a mouse model of multiple sclerosis (Theiler's murine encephalomyelitis) induced nerve cell repair. Inhibition of the degradation of 2-AG promoted remyelination, rebuilding of myelin, which surrounds some nerve cells and is destroyed in multiple sclerosis. Functional and Systems Neurobiology Department, Instituto Cajal, CSIC, Madrid, Spain.